You don’t want your wedding to be a carbon copy of everyone else’s, and you could run that risk if you forget about adding some more personal touches. They don’t have to be anything too significant or cost you a lot of money, but they could make your wedding day stand out and be more memorable. Try some of these little ideas to make your day a little bit more unique. The new generation of newlyweds do things a little differently to their parents. If you’re all over your favourite social networks, from Twitter to Instagram, create a hashtag just for your event. You won’t have to badger your friends for photos from the big day if they can upload them straight to Instagram. Anyone who wasn’t able to make it or wants to bask in the memories can see the events in real time. Although you’ll always have the memories in your head, it helps to have a physical representation of how amazing the event was. But why just have a group of people standing outside a church, when you can have much more fun with your wedding photos? Look for a wedding photographer in Chicago or wherever you’re getting married who can come up with some unique ideas. You’ll end up with photos that are unlike anyone else’s, and truly representative of you as a couple. If you’re making your own invitations or other papercrafts, which a lot of people choose to do to save money, you can make them super personal. Have a custom rubber stamp crafted so that you can leave your mark on everything you send out in the post. Then you can use it again on your name cards, programmes and meal cards at the wedding so everything ties together. And you can keep it to use in the future too. Everyone wants to show their guests how much they appreciate them attending their special day. Instead of just having sweets or bubbles on the table, you can get more creative with your wedding favours. Make each guest a mix-tape, give them some homemade jam or make custom colouring books for the kids. You’ve ordered the cake, but you’re not happy with the ready-made bride and groom to go on top. Make it more personal by having a custom cake topper made. You could have your name or initials, or you could have mini figurines of the happy couple. 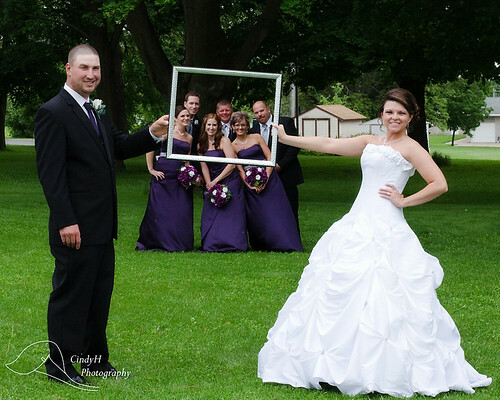 If you want to make your wedding unique and a day to remember, make sure it reflects you as a couple. Add lots of personal touches so the event says something about you and stays in everyone’s memories.